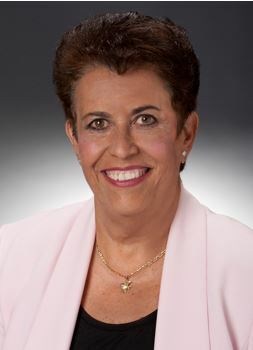 Dr. Alina Alonso, Florida Department of Health – Palm Beach County, has been serving the medically underserved in Palm Beach County through the Health Department since 1989. As the Director she oversees the operations one of the largest county health departments in the state. Its 900 plus employees provide a full range of primary and preventive services to seven health centers located throughout Palm Beach County. Its numerous other Public Health services including Environmental Engineering, Nutrition, School Health and Community Health and Education make it a nationally recognized organization in a class by itself. Dr. Alonso has trained in Bio-Chemical Terrorism and Weapons of Mass Destruction since 1997. She has the experience of handling the clinical operations of first case of inhalation Anthrax in the United States in the last twenty-five years. She has extensive training in communicable and emergent diseases. Dr. Alonso graduated from Barry University in 1978 with a Major in Biology, a double Minor in Chemistry and Mathematics and a BS degree. She pursued her medical career as a 1984 graduate of the foreign medical school, Universidad Autonoma de Ciudad Juarez in Mexico. In New York, she served as Chief Resident in the three-year Family Practice Residency Program at St. Joseph Medical Center from 1985 to 1988. After returning home, she finished a second residency in Public Health and Preventive Medicine in 1992 at the Palm Beach County Health Department. She is a diplomat of the American Board of Family Practice and a member of the Palm Beach County Medical Society. Dr. Alonso serves on the faculty for Nova Southeastern University, Health Professions Division as Clinical Assistant Professor and remains very active in the Preventive Medicine/Public Health Residency Program at the Palm Beach County Health Department training future leaders. In addition to her Public Health responsibilities, Dr. Alonso combines her Cuban heritage and her experience and training in Mexico and Central America to stay active in minority health issues, patient’s rights advocacy, cultural diversity and tolerance training. Her favorite pastime is snorkeling or scuba diving off the Florida Keys and the Bahamas Islands with her sons Gabriel and Alex.